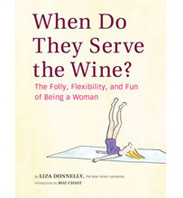 The War on Women | When Do They Serve The Wine? Last week was quite a week for the issue of women in the race for the President. It inspired me to draw the cartoon above. Whether you want to call it a War on Women or not, the GOP is doing a lot to try to take away rights for women. 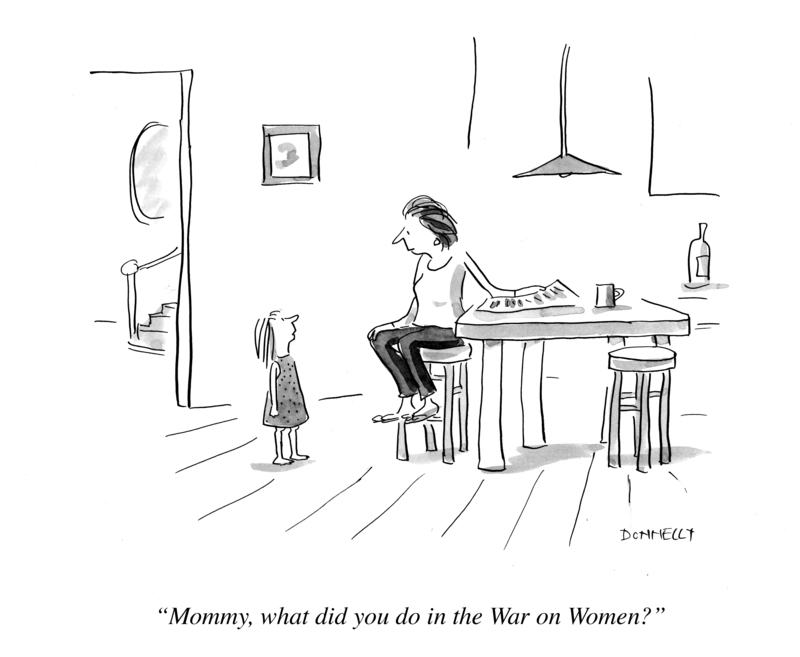 When I drew this cartoon, I actually had in mind that the little girl was asking her mother about whether or not she acted to fight against this war on women. But I see now it could be interpreted either way. No matter. Children hear the word war and interpret it any way they can. It’s just sad we have to have such a word. This entry was posted in News, Random but Relevant and tagged GOP, Mitt Romney, Republican, United States, women, Women's rights. Bookmark the permalink. Thank you!! Wow, an honor. Thanks. You continue to “nail it”– I predict this will be a cultural touchstone for years to come…it certainly deserves to. Regarding kids, the War on Women phrase is unfortunate, indeed. Of course, the GOP would not encourage that phrase — that came from some on the left, and perhaps not wisely. But the ultra-conservative intent is still there. Perhaps we could all just join-in on a War on Stupidity & Ignorance…even kids could get into that! Yes! War on Stupidity. Start a campaign! I’m still busy with my campaign to get your cartoons published more often in The New Yorker!